Lebanon signed the Conventions on 10 April 1951, Additional Protocol I (Protection of Victims of International Armed Conflicts) and Additional Protocol II (Protection of Victims of Non-International Armed Conflicts) on 23 July 1997. Moreover, Lebanon became signatory to the Convention for the Rights of the Child (CRC) on 14 May 1991. Lebanon voted in favor of the UDHR, unsurprisingly since the Lebanese Dr. Charles Malik helped draft the document. 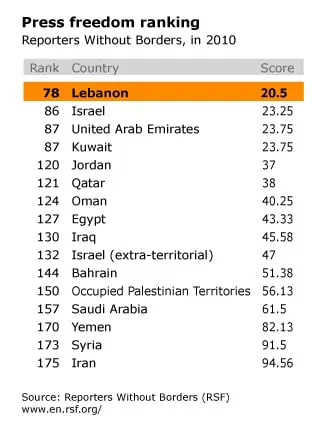 Lebanon has been member of the OIC since 1969, and has only left one of the 8 fundamental ILO conventions not ratified by Lebanon, being the convention on freedom of association (C087). Lebanon is not party to the 1951 Convention nor its Protocol. The Convention on the Elimination of All Forms of Discrimination against Women – also called CEDAW, was approved during the General Assembly Session on 18 December, 1979 and entered into force on 3 September 1981. Lebanon confirmed its accession on April 16, 1997. Through “accession” a state accepts the offer or the opportunity to become a party to a treaty, which has already negotiated and signed by other states. It has the same legal effect as ratification. Countries that have ratified or acceded CEDAW are legally bound to put its provisions into practice, and thereby agree to submit national reports on measures taken to comply with its obligations. Such reports are to be compiled at least every four years. Lebanon made reservations against Article 9 (2), concerning children’s nationality; and Article 16 paragraph (1c), prescribing equal rights and responsibilities during marriage and its dissolution; Article 16 (1d), listing same rights and responsibilities in marriage pertaining children; 16 (1f) granting equal rights and responsibilities regarding guardianship, wardship, trusteeship, and adoption of children if this exists in national legislation; and 16 (1g) granting the same personal rights to husband and wife including the right to choose a family name. Additionally, Lebanon does not consider itself bound to Article 29 (1), discussing dispute between states concerning interpretation or application of the Convention. It is noteworthy that Article 29 (2) specifically allows for such a reservation. The Convention on the Rights of Persons with Disabilities was approved during the General Assembly session on December 13, 2006 and came into force on May 3, 2008. Simultaneously, the Optional Protocol was approved, giving the Committee on the Rights of Persons with Disabilities (CRPD) competence to examine individual complaints with regard to alleged violations by States parties to the Protocol. The CRPD is the body of independent experts that monitors implementation of the Convention. Lebanon signed the Convention on June 14, 2007, alongside the Optional Protocol. The Convention against Torture and Other Cruel, Inhuman, or Degrading Treatment or Punishment, also referred to as just the Convention against Torture, was adopted during the General Assembly session on December 10, 1984. On June 26, 1987 it was registered and thereby came into force. Its implementation is monitored by the Committee Against Torture (CAT), composed of ten individuals of various nationalities. All signatory states are obliged to send regular reports to the CAT, based on which recommendations are made. Lebanon acceded to the Convention on October 5, 2000 with no reservations. The International Convention on the Protection of the Rights of All Migrant Workers and Members of their Families was approved by the General Assembly on December 18, 1990 and entered into force on July 1, 2003. Lebanon is not party to the Convention. Lebanon acceded to the Convention on November 12, 1971. AS reservation, it listed that it does not consider itself bound to the provisions of Article 22, pertaining to inter-state dispute resulting from interpretation or implementation of the Convention, stating that all parties to the dispute are to expressly consent to intervention of the International Court of Justice. Article 13 of the Constitution states that the freedom to express one’s thoughts in writing or by speaking is guaranteed ‘within the limits fixed by law’, as are press freedom, freedom of meeting and freedom of association. Two factors limit press freedom. The first is that politics and media are very closely tied and that most prominent politicians have their own press. The second, much worse, is the violence which journalists may encounter. 2005 was a particularly bad year, with the murders of Gebran Tueni and Samir Kassir, both from the newspaper al-Nahar founded by Gebran Tueni’s grandfather, who was murdered himself. That same year witnessed the attempted murder of May Chidiac, the very popular anchor woman of the Lebanese Broadcast Corperation (LBC). She was not killed, but she lost an arm and a leg. Both organizations stress that the Lebanese government does not try to censure the Internet, except for an incident in which four university students were jailed for a week without trial on charges of slander, libel, and public insult due to comments posted on the social networking site Facebook. Broadcasting on the Internet is becoming more and more popular. As the government has to approve broadcasting licenses, broadcasting on internet or by satellite has become an escape route for those who were not granted a license, for whatever reason.